Unit blocks, cardboard blocks and foam blocks are available for children to explore. They utilize fine motor and problem-solving skills to build various structures from a simple tower to an elaborate neighborhood. 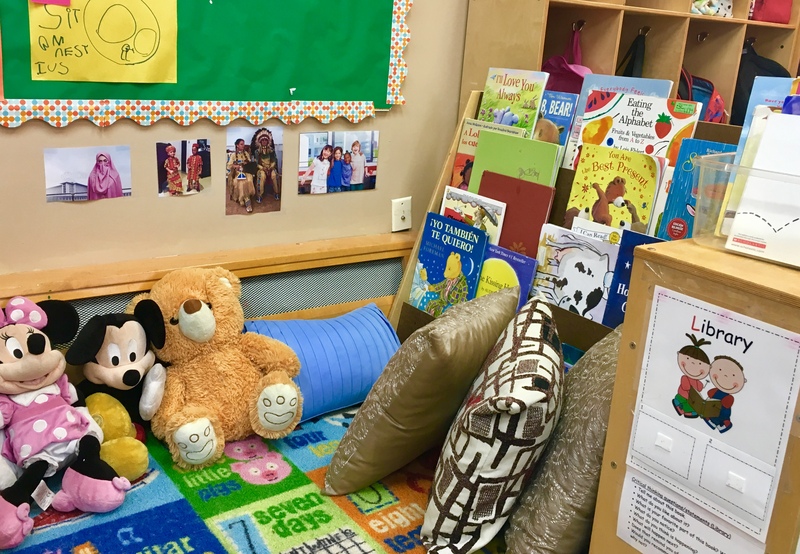 Block center enables children to use their imagination and creativity by building and incorporating various props such as cars and traffic signs, people, animals and theme related items. 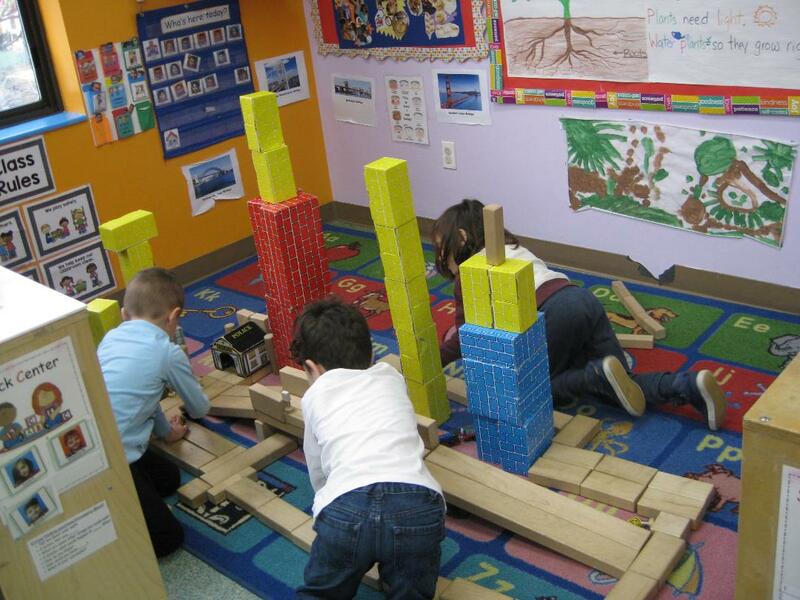 Using unit blocks, children engage in mathematical thinking and basic engineering and architecture concepts. Children also learn how to play cooperatively and be a part of a team if they work on a large project together. Dramatic play provides children opportunities to role play as adults and various careers. Children also get a chance enact various current and adult situations to practice and learn social skills. Dramatic play encourages creativity, self-expression, vocabulary and knowledge of the community. Children also get exposed to and explore various cultures and customs at this center. Children learn problem solving skills as well learning to cooperate and compromise by deciding on the rules and who gets to play certain roles. 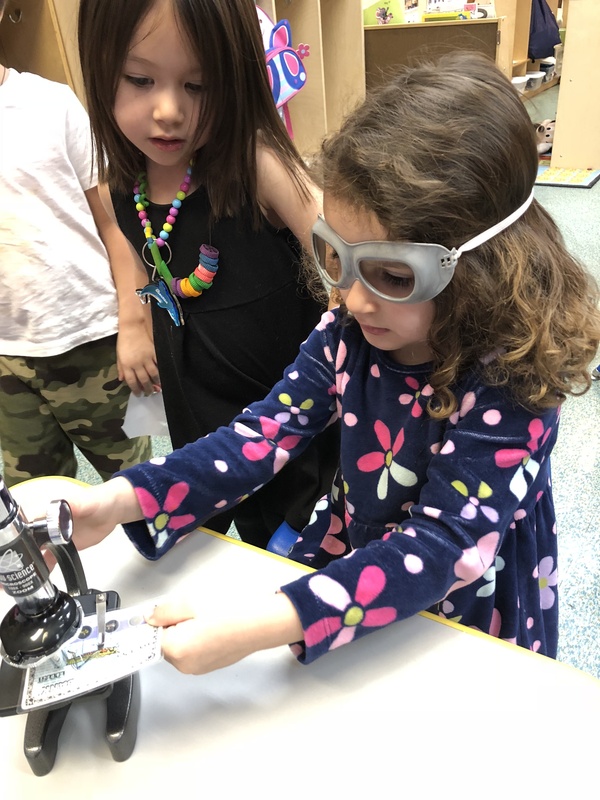 Children have many opportunities to explore properties of things and how they work as they engage in hands-on activities. They question, wonder, predict, examine, experiment with various theme related materials as well as any natural objects in our environment. Magnifying glasses, colored paddles, various types of magnets, balance scale, measuring tape, tweezers, droppers, insects and collection of rocks, leaves, pinecones and seashells are always available for children to explore. 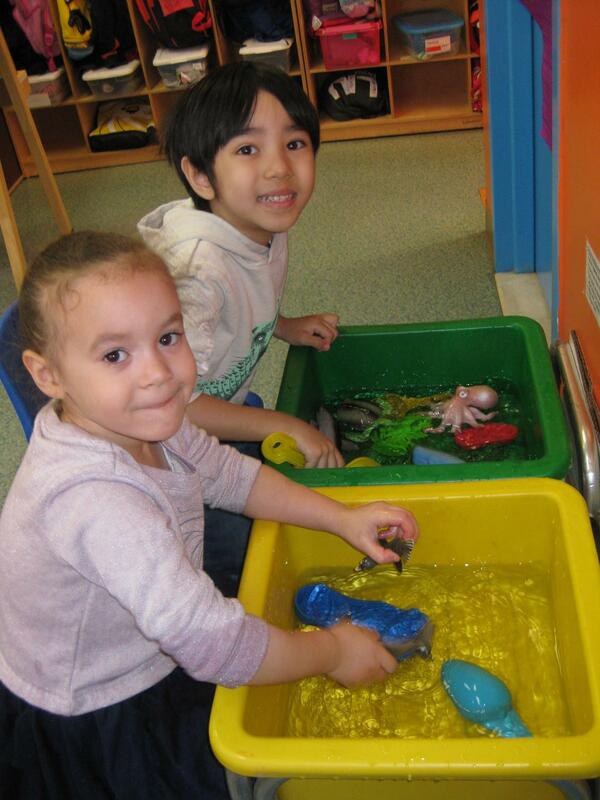 Manipulative center allow children to further develop their fine motor skills as well as their hand-eye coordination. Children also practice and learn basic math concepts and engage in problem solving activities. 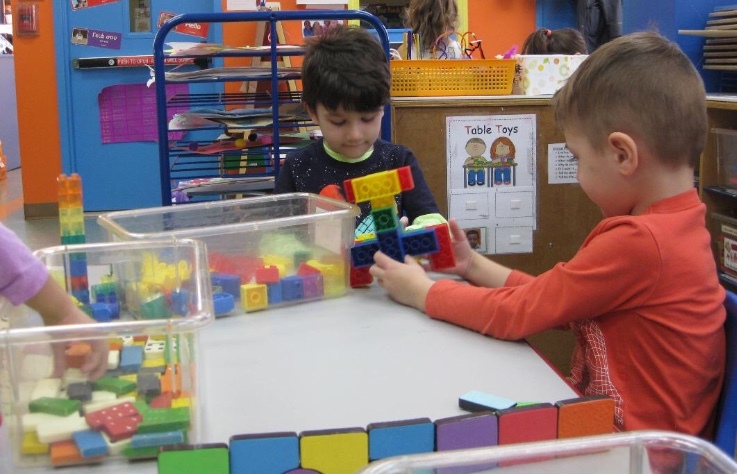 Number pegs, dominoes, magna-tiles, Legos, puzzles and unifix cubes are some of the materials available throughout the year with other theme related materials rotated every month. Art center provides children to express their emotions and ideas using their creativity. Using different mediums and various materials, children create their short term as well as long term open-ended projects. 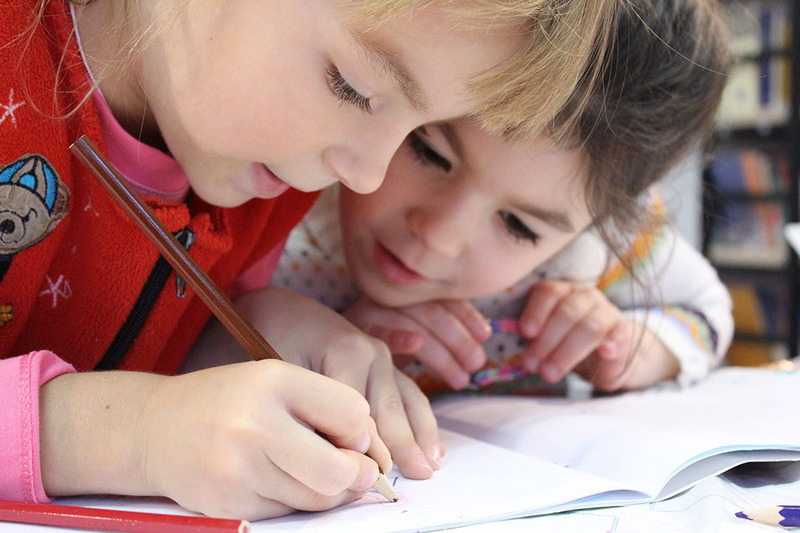 Instead of pre-printed models, children are encouraged to freely explore with colored paper, print paper, crayons, markers, tape, glue, scissors, collage materials, etc. 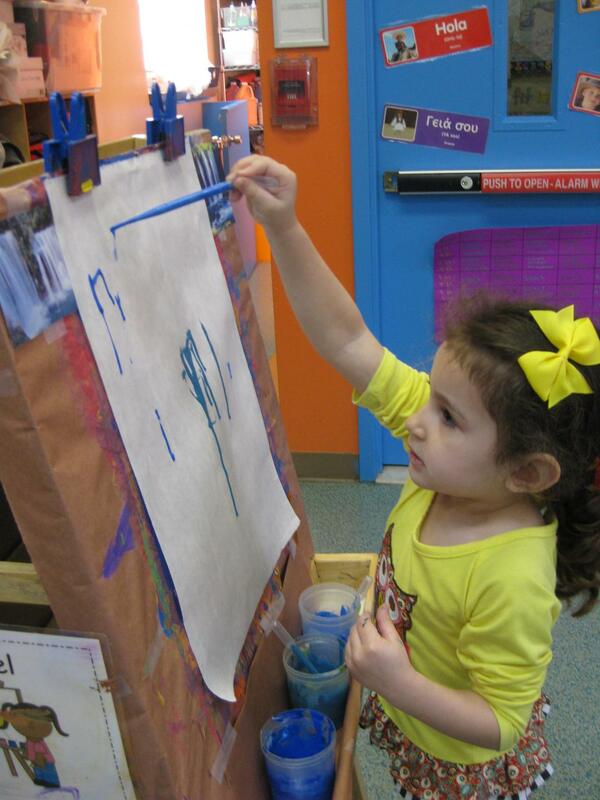 Both fine motor skills as well as hand-eye coordination are further developed during their time at the art center. Children learn the importance and love for writing in the writing center. Immersed in print rich environment, children are encouraged to practice writing letters, numbers, their names and theme related words. It is a great area for children to express their thoughts and ideas. Provided with various types of books, children are encouraged to practice their reading skills and etiquette. Reading comprehension through pictures and text, letter/word recognition and basic literacy concepts such as reading left to right, identifying author, illustrator, title, cover, etc. are emphasized. 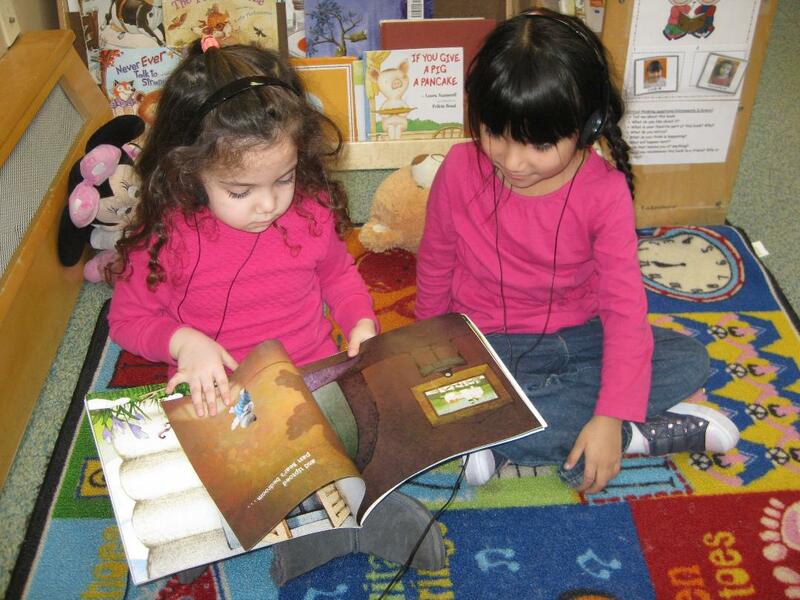 Children listen to book CDs using headsets and following the pictures and the text in their books. Various music CDs are also provided at the center. 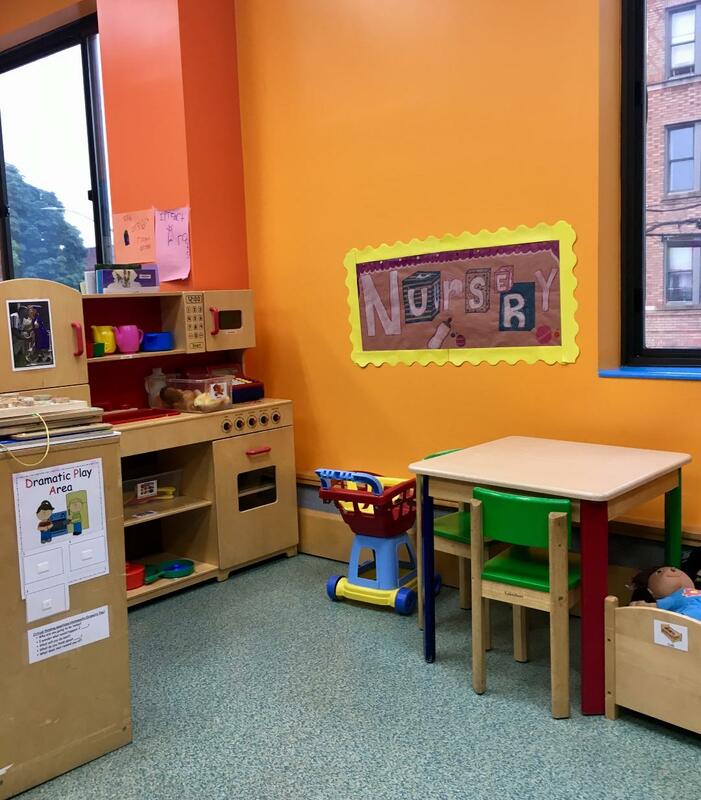 This center allows children to practice independence by giving them choices they can make on their own. Children engage in various sensory activities while they develop hand muscles. Water and sand are always rotated with other sensory items such as water beads, slime, shaving cream, rice, etc. that are theme related. Children also work on problem solving, measuring and learn cause and effect through this center.